This post was originally published December 23, 2014. This Sunday was Yule, the Winter Solstice, the shortest day of the year. To celebrate, we had a fire in our backyard chiminea. Even though Christmas is just a couple of days away, I am already thinking ahead to New Year’s. New Year’s Day is probably my favorite holiday (though I also love Valentine’s Day). I love the idea of a clean slate. I enjoy looking back on the year and reflecting on my journey, and then looking forward and thinking about where I want to go. This year, I feel like I will be continuing along the path that I began a few months ago, simplifying my life, minimizing my possessions, and making room for the things that are important to me – my family, my music, my art, my health. The new year will bring new opportunities and challenges, and I feel equal to meeting them. 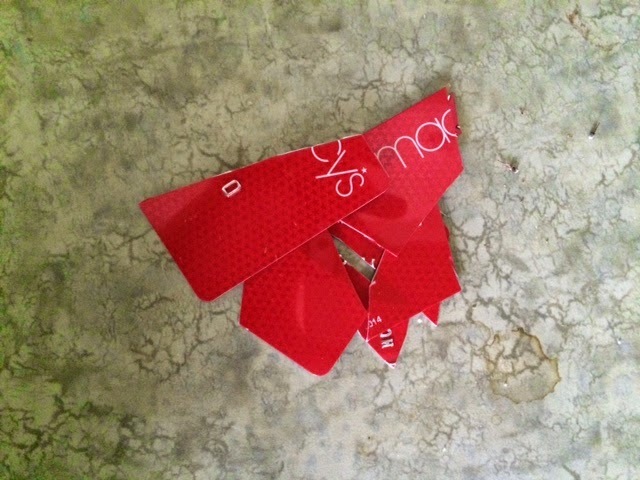 I also had the joy of closing my Macy’s credit card account this week. I paid the card off long ago, but just got around to closing it, thereby further minimizing the possibility of future debt!